Right now, someone somewhere in the world is thinking up a question to ask Helen and Olly... How can you tell if an old person used to be hot? Why do lion tamers use chairs? How many people must one kill before it is classed as a spree? 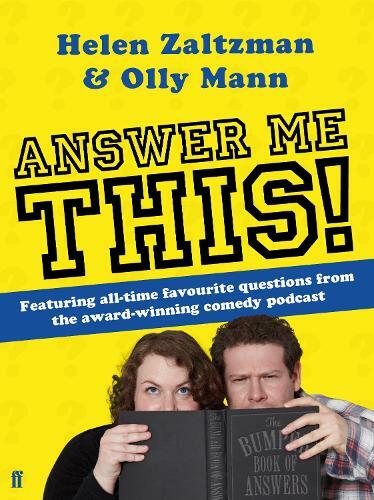 In their roles as hosts of comedy podcast Answer Me This! Helen and Olly take on the world's questions and solve them with their unique mixture of pointless knowledge, reckless opinion and a dash of filth.